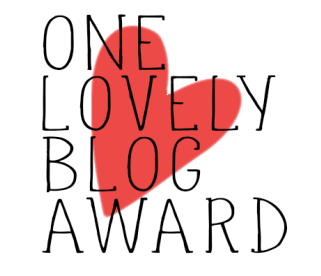 I’m taking a quick diversion from my usual posts as I have been nominated for a One Lovely Blog award! Thanks to Murasaki Mugen for nominating me! I am a twin. My twin sister is older than me by 8 minutes. I don’t think we are that similar but everyone tells me the opposite. I have a massive sweet tooth. When I was living in Japan I was obsessed with メロンパン and プリン and couldn’t leave a convenience store without buying one! I like crafting. I knit and crochet and would love to learn to sew and make my own clothes someday. I have language wanderlust and constantly change my mind on which language to start learning next. At the moment it will probably be Korean, but I would love to study Mandarin too (or maybe German!). My absolute favourite book is The Great Gatsby. There are so many amazing lines from this book. I am also a fan of the recent film adaptation starring Leonardo di Caprio, I think he does a great job of bringing Gatsby to life. When I’m not blogging or reading I am most likely playing video games – I am currently playing Persona 4 in Japanese. Congratulations! Your blog is truly a lovely one.